I know it's been a long time coming but it has. Here's two pics. If Izzy would only show up we might even get to test it. For a tease; the upper piece is SS while the bottom one is 4340 chrome moly. In production the 4340 will get black oxide treatment. I'll tell some more after testing. Last edited by Richard Paul; 02-07-2012 at 04:10 PM. Is that a bike rack? This will make many people happy. Hi Richard Paul, we have recieved your PM's (Izzy and I) and unfortunately Izzy is out of town until Friday due to Work. Maybe we can arrange for something on Saturday afternoon? We are getting somewhere! 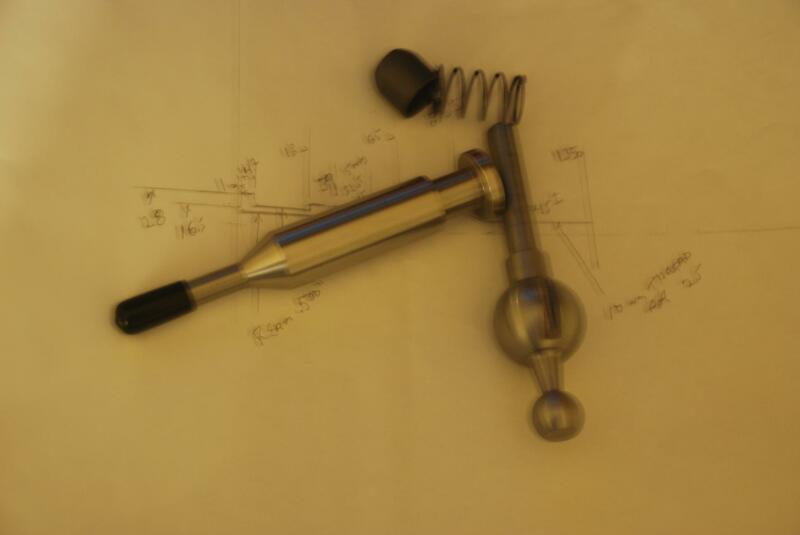 The shifter is turning out great! I recieved your email Paul. Can't Wait to slap this Bad Boy on. Hurry izzy!!! i want mine naoooo! That thing is so slamed that I have trouble getting in it. Makes working on it hard for an old man. I am another definite customer if everything checks out ok.
nice I want to see how this thing works out might have to purchase one! All S2 owners have big missing out big time! 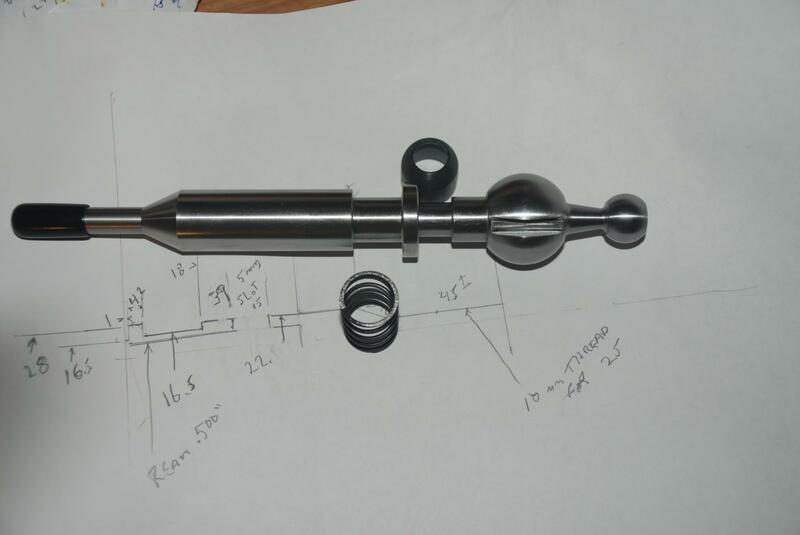 I need to make a couple of little tools so you don't have to run around looking or building stuff. 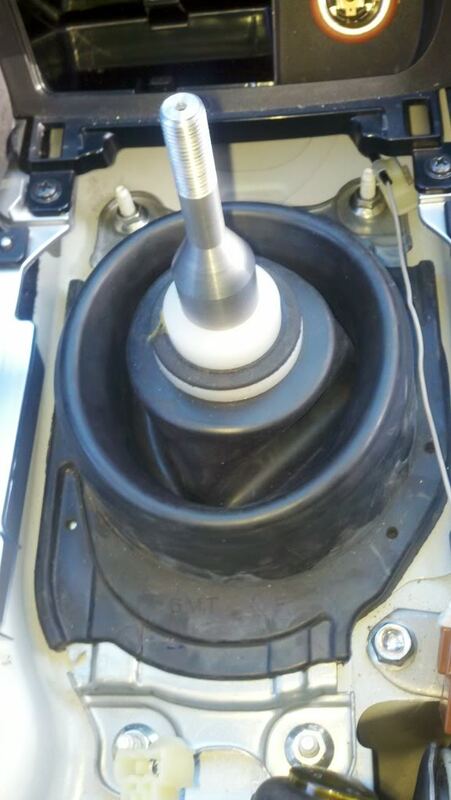 There is a sleeve that goes on the shaft to contact the boot. Are any of you who are waiting for this local to me? Izzy is not making contact and I need an S2 for final fitting and DIY photos. ^Busy with work. Saturday is the earliest that we have open. We are just as excited to get this finally fitted and installed. Maybe tommorrow, but highly doubt it. Last edited by ZumnRx8; 02-14-2012 at 09:46 PM. 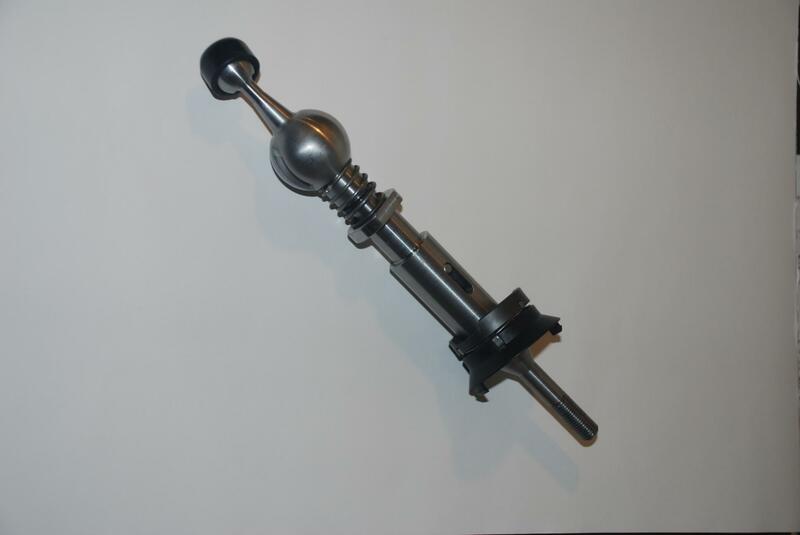 Ladies and Gentlemen, I present to you the first Axial Flow Engineering prototype short shifter for the Series 2 RX8!!! Some modifications had to be made today for final fitment, but we got it! Production should start soon. It feels amazing! Shifting with the flick of a finger never felt better! Last edited by ZumnRx8; 02-17-2012 at 05:35 PM. can't wait till mine gets here! gunna have a hard on all week lol! Been waiting for 2 years for this day to come. Any idea what they will be worth and when I can get one? They are in production now, I hope to get them assembled and shipped by the end of the week. At latest first of the next. We are going to write the DIY next weekend. Thank you sir, I just sent the paypal. Now all I need is winter to **** off so I can get back to avoiding speeding tickets. Any progress on the superchargers?????? Last edited by plumbers crack; 02-27-2012 at 02:44 AM. any significant update on ETA ? PAIMON!..we say "shitting your pants"
Yes, the AFS2S does look nicely made too!